Color Available: Red, Blue, Grey, Green, Yellow etc. 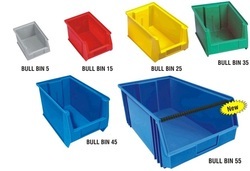 We offer wide range of Plastic Bin. - Strong ribs provided for optional partitions to increase storage options. 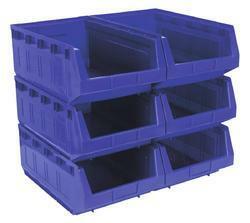 Backed by a team of experts, we are involved in offering our clients a wide collection of Louvre Panels Bins. These are fabricated using best grade of raw materials to offer optimum performance and longer service life. The range can be fitted with two numbers of LP2 Louvre Panels on each side. Colour: Light Grey RAL 7035.